Making the jump from console gaming to playing on a Mac can be a difficult transition, especially if you buy into the idea that the average Mac gamer is more skilled than their console equivalent. Besides, you’ll also need to consider the fact that by moving to Mac you’ll no longer be able to use your library of console games, or play with friends you’ve made on there. Plus, you’ll have to learn to use a mouse and keyboard. Or will you? The great thing about having a choice in which controller to use is that, even though both of them are around the same price point, they have a few distinct differences, meaning every Mac user can pick the one more suitable for them. An Xbox One controller is, for example, a little heavier and boasts haptic feedback triggers, whereas the lighter Sony DualShock 4 has an additional (touchpad) button, integrated lithium ion battery, and motion sensitivity. In addition to the advantages mentioned above, many Mac gamers prefer the DualShock 4 to an Xbox One controller because there are a few different ways of connecting PS4 controller to Mac. The first, and perhaps most obvious, is to use an official wireless adapter. It’s likely that many of you reading this, namely those who have struggled with unofficial products and sketchy workarounds in the past, will be breathing a sigh of relief to learn that an official DualShock USB Wireless Adaptor exists. The official wireless connector is a decent solution for Remote Play or playing Mac games that support the use of external controllers. But the critics may be sceptical about the high price of the accessory — the top video on YouTube that mentions this product is titled “WHY DID THEY MAKE THIS?? ?” — as much cheaper options are readily available: such as micro USB and Bluetooth. If you’re not, for whatever reason, picky about whether you play wirelessly or not, then you can just connect PS4 controller to Mac using the micro USB cable that you’d usually use to plug it into your PlayStation. The extra benefit of using micro USB is that the cable also charges your controller while you play. When you plug it in, you’ll see an orange light appear on the touchpad indicating that it’s charging. In Settings, you can also choose to add an icon to your menu bar that will connect to your chosen device (in this case, your PS4 Bluetooth controller) with a single click. At this time, there’s no controller icon, but you could use something like a keyboard symbol or the magic wand in its place. If you love shortcuts, ToothFairy gives you an option to record a hotkey to connect or disconnect your controller, and show how much battery life your DualShock 4 has left next to its icon. 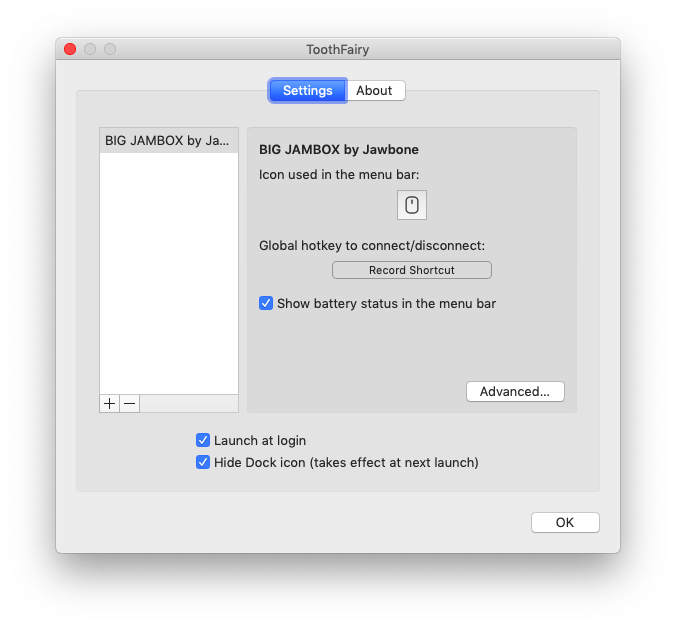 As long as your controller is awake, ToothFairy is really handy for connecting it to your Mac with a single click! Best of all, ToothFairy is available for free during your trial with Setapp, along with more than 130 top Mac utilities and apps. Try it out for seamless PS4 Bluetooth experience. Since it’s so easy to connect a PS4 controller to a Mac, and since Xbox One controllers have built-in support for connecting to Windows, you could be forgiven for thinking that connecting Xbox One controller to Mac would be simple. Unfortunately, you’d be wrong — consider it a casualty of the ongoing Windows vs. Mac war! It’s possible to connect Xbox One controller to Mac, but doing so requires a little bit of extra work. 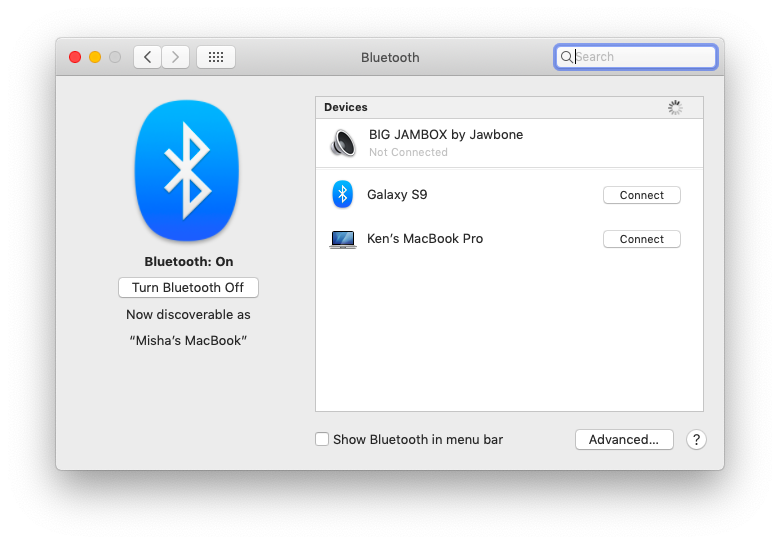 For a start, you can’t use Bluetooth to connect, so that’s the wireless route blocked right off the bat. You’ll also need to purchase a micro USB cable, since one isn’t included with Xbox One controllers like it is with a PS4 handset. Now it’s time to (finally) plug your controller in, using a USB-C to USB-A adapter if necessary, and head to Security & Privacy to bypass the popup that’ll appear when you plug the controller in. Once all that’s done, you should be connected! Which controller should you choose? Just a quick glance at the instructions above shows that listing how to connect Xbox One controller to Mac takes up almost as much space as three different ways of explaining how to pair PS4 controller with Mac. So for some readers, that will make the decision of which controller to use a no-brainer. If you already own an Xbox controller, it’s worth remembering that, while the above may look like a bit of a headache, the process is something that you only need to go through once. Console and Mac gaming often tend to be treated as polar opposites, as if they are on different ends of the spectrum, and never the twain shall meet. But in reality, there’s a huge grey area in the middle that offers up a lot of fun. Using a controller can, for example, be a really compelling way to enjoy VR titles that aren’t “on rails.” In fact, until someone starts mass producing those omnidirectional treadmills from Ready Player One, they are the best way to do so. Whichever option you choose, using a controller offers an intuitive and familiar experience that’s backed up by all of the processing power a high-end Mac can offer. And don’t forget to make sure your Mac is properly optimized for games. Don’t buy any of that for a second! Gaming should be something that brings you joy and, whether that means crushing candy all the livelong day or using a controller with your Mac, more power to you.